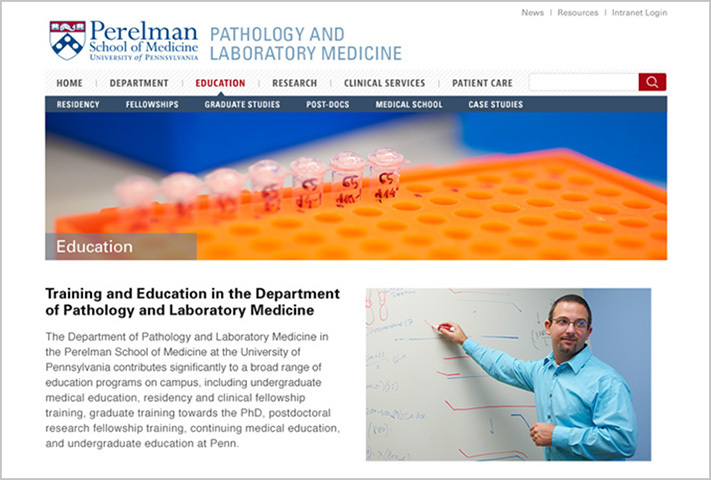 The Department of Pathology and Laboratory Medicine (P&LM) in the Raymond and Ruth Perelman School of Medicine at the University of Pennsylvania is a global leader in training, research and clinical services. Cabengo worked closely with the P&LM project team to develop a sophisticated public website that would advance the department’s mission and help it connect more effectively with its key constituents. 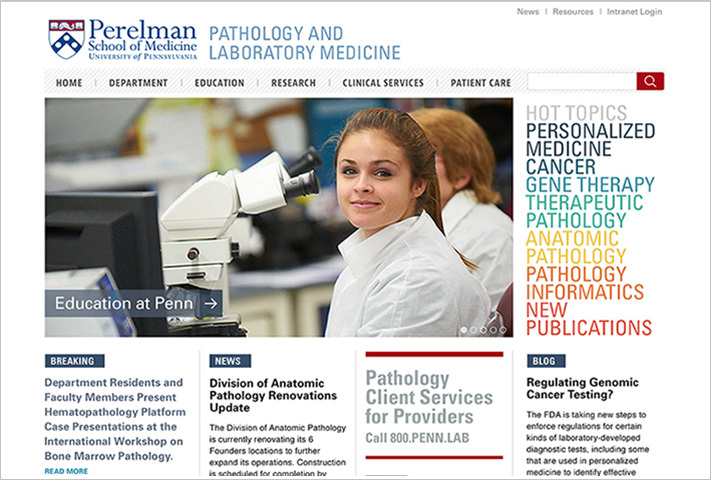 The new website needed to reflect the scope, complexity, and vitality of the department and be forward-thinking and responsive to the needs of the next generation of pathologists. To develop the digital strategy, we conducted nearly two dozen interviews with faculty and administrators to clarify objectives and audiences, validate requirements, and define success metrics; interviewed key audiences to determine user needs; conducted a brand audit to understand brand architecture and positioning; analyzed the competitor landscape to identify opportunities; and considered broader digital trends that might inform decisions about content, features and functions. We developed a content strategy, including recommendations for new content features; technical and functional requirements; and visual design and branding requirements. Based on findings, we developed a concept blueprint, a high-level architecture map, and detailed wireframes. We designed an elegant, crisp, and original look and feel, with broad appeal to core audiences. Judicious integration of rich media and interactive features, such as a dynamic data visualization and an interactive timeline, help tell the story of the department’s vision and work in a clear visual voice. We then built the CMS-driven website with a responsive framework, using Drupal as the underlying CMS. 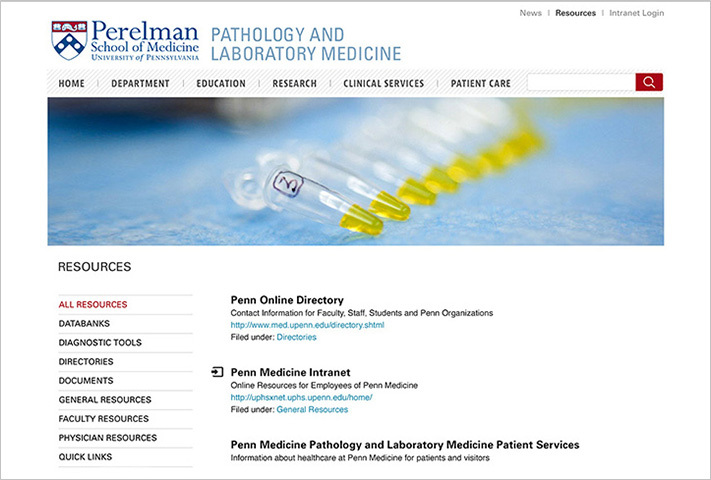 The new site helps position P&LM as an innovative department in synch with the rapid transformation of technologies and information consumption; raises the profile of pathologists in general and the department in particular; showcases its distinctive contributions to the field; and speaks to a new generation of applicants.